Hello February! Now is the time to shop for Valentine’s Day cards for that someone special in your life! In the 1700s, something recognizable as a very early form of the modern greeting card began to be seen for Valentine’s Day. Three hundred years later, according to the Greeting Card Association, over one billion Valentine’s Day cards are exchanged every year! And it’s the second largest seasonal card sending time of the year! For some people, February 14th can cause a bit of stress, finding the perfect card to express your feelings to that special person. Card Connection, leading greeting card publisher and franchiser, supplies a wide offering of Valentine’s Day cards to suit all customers. All cards range from standard cards, through to the company’s popular luxury format, right up to the highest hand-finished designs, together with the premium Collection range, there is something for all budgets and tastes. Valentine’s Day is a time for celebrating and cherishing the ones who we love. Grab your card now lest you forget! Above, we have rounded up a selection of Card Connection’s Valentine’s Day range this year — funny, romantic, cute, hand crafted and more! There’s definitely one or more that your love is sure to enjoy. 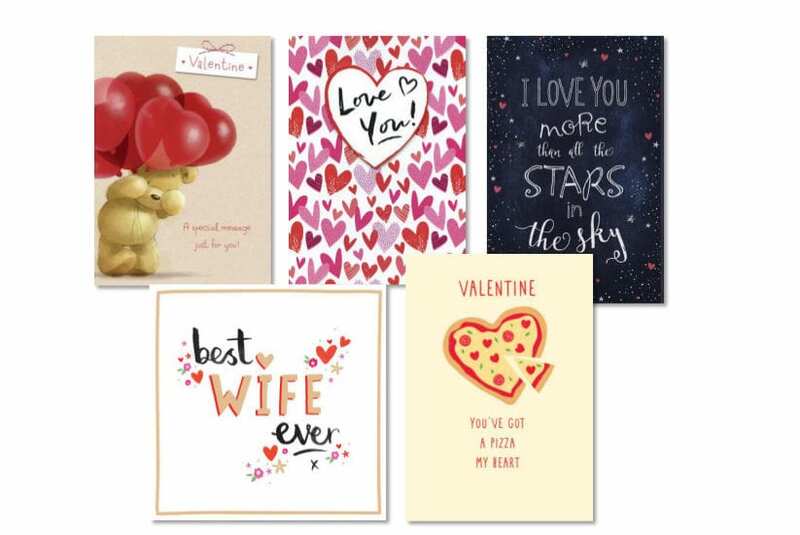 Our varied selection of designs and styles also offer a wide choice of captions, sentiment and tone so that you can find a card that says ‘just the right thing in just the right way’ for your special someone.